Alice Taranto is a graphic designer and glass artist who merged her two talents after discovering the rich history of neon. She holds a BFA from the Rhode Island School of Design and has been working in neon since 2013. She was a Prix du Public Rado Star Prize US nominee in 2016 and named a student to watch in 2015 by Graphic Design USA. Her work has been featured at ICFF, WantedDesign, and acquired by the MoMA Library and the Walker Art Center Archives + Library. Taranto currently lives and works in New York City. Fresh Faces for Inside Spaces, the first collection from her luxury neon lighting collection Lit, is available exclusively at kinder MODERN. 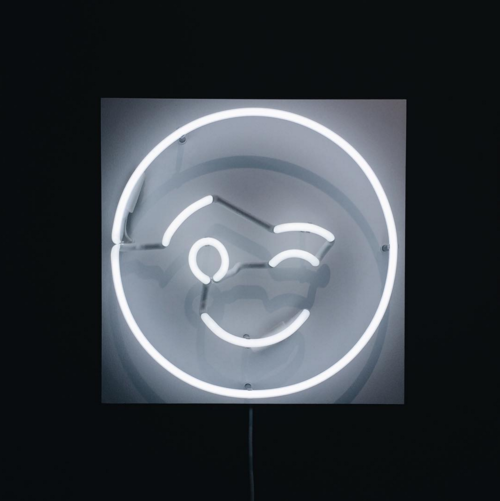 Fun and just a bit cheeky, each emoji inspired neon light can be dimmed to function as a friendly nightlight or turned up to fully illuminate a dark corner. Each face is hand-crafted in Brooklyn, New York.